Where is Bonnie Springs Ranch? 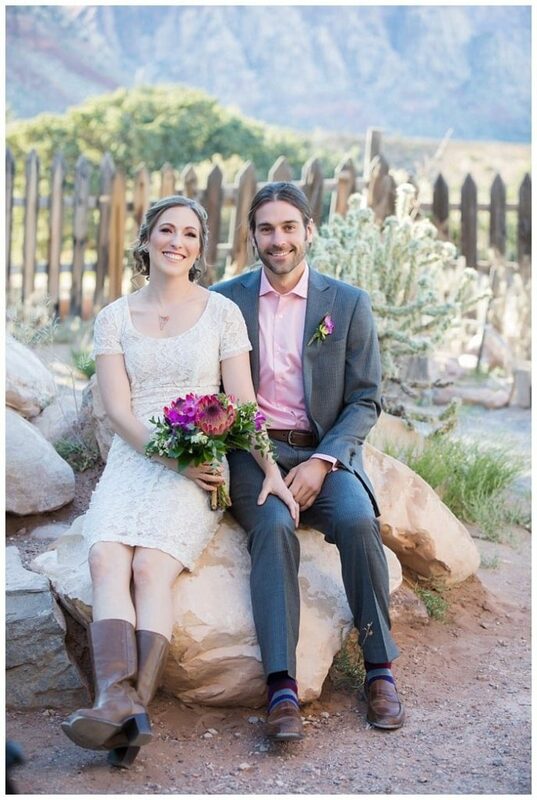 For those considering, Bonnie Springs Ranch is perfect for a Las Vegas elopement. It is located at 16395 Bonnie Springs Road and is in close proximity to the excitement of the city. However, it is far enough away to produce a feeling of seclusion. As a result, this ranch has all the makings of an incredible elopement location. For those who desire and appreciate the beautiful outdoors and rustic perfection, Bonnie Springs Ranch may be just right for you. Here, you may accommodate the small intimate wedding, the larger affair, and anything in between. At the base of Red Rock Canyon, you are surrounded by all of the natural beauty not usually associated with Las Vegas. A replica of an old western town, it is complete with a saloon and roaming cowboys. This authentic wedding experience will be remembered for a lifetime. When is the best time to do this Las Vegas elopement package? The Las Vegas valley, although susceptible to some pretty high, uncomfortable temperatures during the summer months, throughout most of the year we enjoy pretty mild weather. For this reason, at Bonnie Springs Ranch, year-round weddings are possible. While there are specific hours of operation at the ranch, for events and weddings, those at Bonnie Springs are willing to work with you to accommodate the desired day and time of your special event. At Bonnie Springs Ranch you are getting a true “country” wedding. But you will also get all of the amenities you could possibly need. 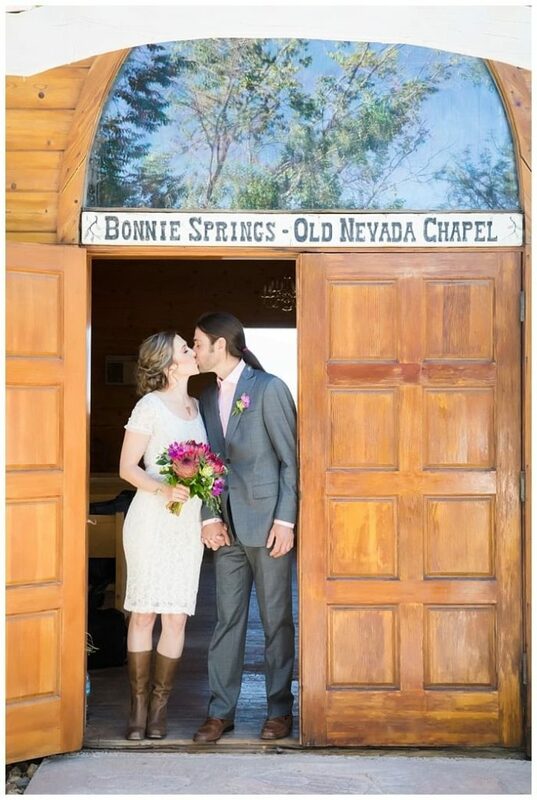 Rustic meets modern conveniences, with one of our Bonnie Springs Ranch Las Vegas elopement packages. Furthermore, there are plenty of great opportunities for photos with your Las Vegas elopement photographer. Wishing for just a little more? Bonnie Springs Ranch is located approximately 35 minutes from the Las Vegas Strip and Downtown Las Vegas. The Red Rock Hotel and Casino is 13 minutes away. In addition to lodging, at Red Rock Hotel and Casino there are many bars and restaurants, a movie theater, bowling center, and live entertainment. Whether you’re a local or from out of town, Bonnie Springs Ranch may be the perfect venue for your Las Vegas elopement. Instead of the stereotypical chapel wedding, you can have an altogether different experience, one that is completely un-Vegas but still within the convenience of the city. At Bonnie Springs Ranch you are in for a treat and will enjoy your Las Vegas wedding in a genuine and picturesque setting.